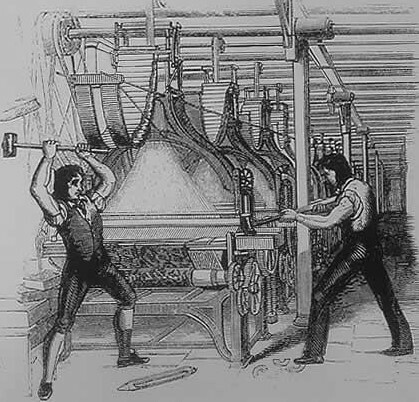 Are we all Luddites now? But we’ll still have ‘Art’ they cry! Creativity is our last bastion of humanity! Now they’re going to take that from us too. Artificially intelligent, artificially creative creatives… computers will be able to make art one day they say! And Jackson Pollock will be the first to fall. Schools exist to spread joy, and in them we should encourage people to be the makers and users of knowledge. Machines may be our servants but never our masters, if we think the machine should replace our need to know anything or do anything, if we surrender our art, our purpose, then what are we? Of course we should learn our times tables! It would be inhumane not to. Just sat through a beautiful concert. Eleven top class musicians aged 16-18. It did occur to me that of course those many hundreds of hours of practice were only to produce what a machine might anyway – but I’m glad they bothered. And without the art of education, the at of rhetoric as seen in this article would no longer thrive.